Enjoy Full HD for work and play! Built to deliver the ultimate visual enjoyment of Full HD revolution, the BenQ G2420HDB features a 24”W view, Full HD 16:9 dot-to-dot resolution, 40000:1 dynamic contrast ratio, 5ms response time, 300 cd/m2 and DVI-D. Now, you get to enjoy the truest digital video presentation with the most splendid details! Featuring the revolutionary LED backlight technology, the G2420HDBL comes with 24"W Full HD 16:9 LED monitor. A Full HD 16:9 1080p resolution means one thing and one thing only- the perfection of uncompressed, crystal clear images with 100% dot-to-dot viewing quality. Now, you can enjoy premium image quality in the comfort of your home or office. Experience the truest colors of the world with the BenQ Senseye® Technology. With the help of its six proprietary calibration techniques, Senseye® 3 delivers only the best viewing quality in each of its six pre-set viewing modes – Standard, Movie, Game, Photo, sRGB, and Eco – with the Eco Mode especially designed to save power and money. The BenQ G2420HDBL is HDCP-compliant to ensure the security of all digital content played on screen. Through the HDCP technology, you can enjoy high quality digital images while playing Blu-ray DVDs or Playstation 3 games without worrying about transmission problems. In its best effort, BenQ has made sure all LCD monitors earn the RoHS certification, putting a restriction on the use of hazardous substances in its electrical and electronic equipments, such as lead, cadmium, mercury, hexalent chromium, polybrominated biphenyl (PBB) and polybrominated diphenyl ether (PBDE) flame retardants. 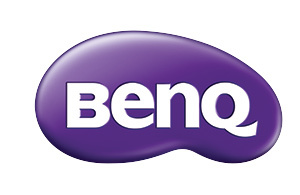 Subject to the terms and conditions set forth below, BenQ America Corp. (“BenQ”) warrants the BenQ LCD Monitor (“Product”), you have purchased from BenQ to be free from defects in materials or workmanship under normal consumer use during the warranty period in the continental United States, Hawaii, and Alaska. If the Product becomes defective during the warranty period BenQ will, at its option, repair or replace the Product. BenQ may use new or reconditioned components or parts to repair the Product, or replace the Product with a new or reconditioned Product of the same or functionally equivalent model. One (1) Year from the purchase date by the original retail purchaser (the “Customer”) parts and labor only (No advance replacement).